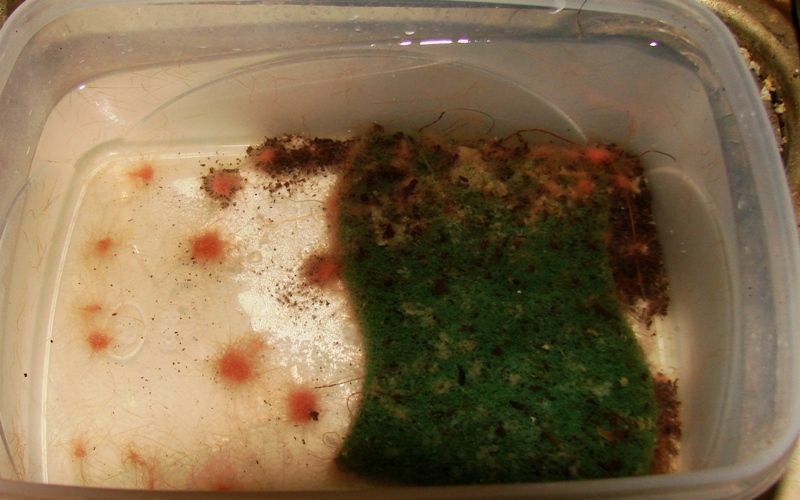 indianaquariumhobbyist.com Forums » Post 306784 » Re: micro tubefex culture. http://indianaquariumhobbyist.com/community/ :: View topic - micro tubefex species from Delhi. Culturing method. micro tubefex species from Delhi. Culturing method. Posted: Sat Sep 08, 2012 5:48 pm Post subject: Re: micro tubefex culture. Possible to get a culture of these? Posted: Sat Sep 08, 2012 6:24 pm Post subject: Re: micro tubefex culture. Posted: Sat Sep 08, 2012 6:51 pm Post subject: Re: micro tubefex culture. The medium scotch brite from the culture given to me by deepakg is floating since yesterday night. And the worms are forming a ball away from the scotch brite. Any particular reason? 1. Did you do the daily water change of 70% with healthy water (no additives, not even those in an aquarium)? 2. Did you add too much of oatmeal milk considering the quantity of mini tubifex (using that name now, for this indian species)? 3. As deepak said, is there slime developing in the Scotchbrite pad unknown to you? take the pad out and take a look. Bingo! Point #2 seems the most valid. Will reduce the volume of Oat milk added. Absolutely no slime and water change of 50% twice a day, with aged water from tanks into which no additives have been added. The worms added to the new cultures are well. They are in single strands(Not balled up) and are hiding in the medium. Most probably because of less quantity of worms. Now a new question, The Coco peat is bubbling if disturbed. Is it natural, and will it affect the worm culture? Posted: Sun Sep 09, 2012 12:20 am Post subject: Re: micro tubefex culture. Oh! I think thats gases coming out of decaying peat. That might be because its watery. Try making another culture with just moist peat. Or take out water from that culture. Posted: Sun Sep 09, 2012 7:59 pm Post subject: Re: micro tubefex culture. Posted: Sun Sep 09, 2012 8:01 pm Post subject: Re: micro tubefex culture. cocopeat takes ages to decompose, so it can't be that. deepak is right in that you need to reduce the water. the cocopeat culture should be 'wet' and not flooded. please expose parts of the box bottom completely so that the worms can eat the food direct from the plastic if they want to. They often choose to do that. you could be overfeeding the cocopeat also. 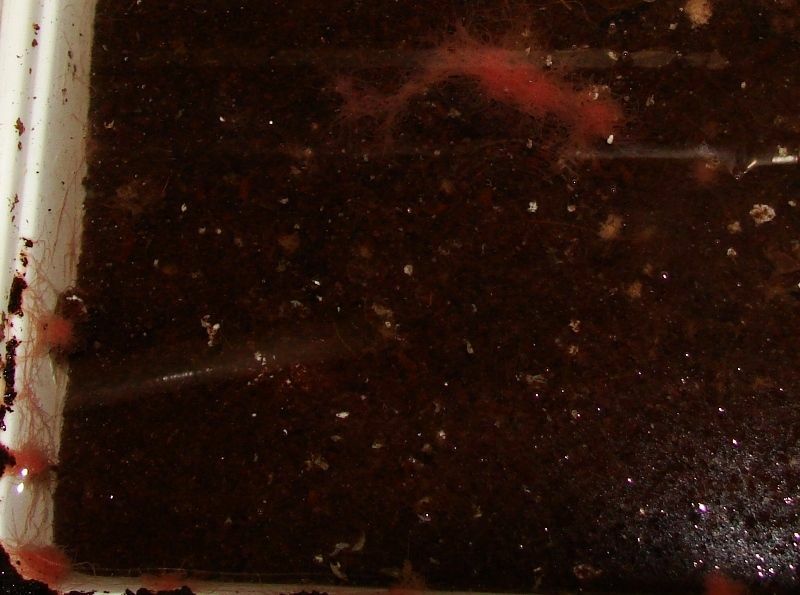 The bubbling is most like excess food that is decomposing and is too much to be flushed out with each water change. Maybe i forgot to emhasise or forgot to mention at all in this thread, the cocopeat culture does not need 'oatmeal milk', it needs oatmeal powder to be sprinkled where the red worms show, or in general, at random, evenly, all over the cocopeat. u also have the option of stpraying it with a spray gun if u feel the oatmeal powder does not get wet soon enough. anyone who takes a culture from deepak must promise to upload pictures here. This will be to encouage more people to take mini tubifex up. Rasik, can you change the title of the thread as suggested? Thanks. Posted: Sun Sep 09, 2012 9:12 pm Post subject: Re: micro tubefex culture. Posted: Mon Sep 10, 2012 11:25 am Post subject: Re: Mini Tubifex species from Delhi. Culturing method. The worms forming balls separate from the medium. But on closer observations there are worms in the media too. Have they completely colonised the media and hence for lack of space forming balls elsewhere? The two new cultures are doing fine too. The base media with Coco peat. Planning to start another one since this seems most stable. Posted: Mon Sep 10, 2012 3:02 pm Post subject: Re: Mini Tubifex species from Delhi. Culturing method. sir how much time did the culture above take to colonize ( above picture ) from the day you started. Posted: Mon Sep 10, 2012 3:26 pm Post subject: Re: Mini Tubifex species from Delhi. Culturing method. The above cultures are from Deepag. I have started my new cultures from 7-Sep-2012. I will post their pictures tonight. I think Deepak will answer when he started his culture. Once he is back in Bangalore I will be giving the above cultures back to him. Posted: Mon Sep 10, 2012 3:30 pm Post subject: Re: Mini Tubifex species from Delhi. Culturing method. i think the worms never colonise the scothcbrite till there is no space and neither are they ever in balls only. They are all over, and this might have to do with their reproductive needs. After i sent deepak most of mine, i had just a few dozen stuck to the walls of the plastic container. Since they can choose any place at all in the culture to make a breeding group, i knew i just needed to feed on time and do the water changes to get them back. They came back in as large a number as when deepak was sent his culture. So the secret is to not disturb them too much, just do the feeding and water change, and harvest. Do not attempt to 'clean' a container or replace an old one because you dont like how it looks, unless it crashes. Wipe the lid clean if u want wifey to like it more. If u want another container, smaller because you need to take it away ,or larger because you want more live food, start a FRESH one from the established container. Posted: Mon Sep 10, 2012 3:35 pm Post subject: Re: Mini Tubifex species from Delhi. Culturing method. Balls are best because you can just pick one up, using a small plastic spoon, and rub it inbetween your fingertips when u dip your fingers in the water. The worms will scatter and attempt to swim away, and your natives will DEVOUR and enjoy themselves very much in the process. i wait for balls, and feed balls only. the scotchbrite is just the penthouse i leave alone. Posted: Mon Sep 10, 2012 3:50 pm Post subject: Re: Mini Tubifex species from Delhi. Culturing method. Hey Romi, will pick up some from you. Will be in Delhi, November 21-22. Btw, don't like the name Microfex. Coin a better name please. I will take a few worm balls as starter. In the meantime. Check below link for a perfect home for culture. This was sent by Romi.I forgot to share. How about a group purchase? Posted: Mon Sep 10, 2012 3:53 pm Post subject: Re: Mini Tubifex species from Delhi. Culturing method. Those are available in Bangalore. I think I saw them at Metro. Will check and revert.